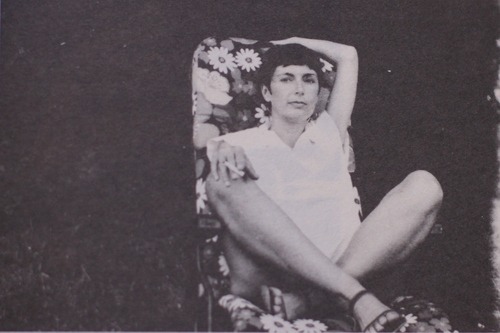 Thirty-one years ago today, Carol Dunlop – the woman Julio Cortazar called his Osita – died in a hospital in Paris. Her death came only a few months after she and Cortazar had finished their incredible journey from Paris to Marseille, a strange road-trip during which they wrote a book together about love, about life, and meaning, as they lived on the side of a French highway, in a VW camper, for more than a month. There’s a lot of speculation about what happened next and why Cortazar died so quickly after. Here are the facts, though: Cortazar finished their book, alone, and had it published. In one of the most moving chapters in modern literature, Cortazar concludes the book – a story so full of bliss and joy and child-like affection – telling the reader that he does so without Osita by his side – like a pianist with one hand. She was thirty years younger than him. She was too young. And the book so wonderful, you feel cheated as a reader, too. You want more from her, just as she was getting started. I am always sad when I think about those months he would have spent, typing away, correcting manuscripts, with Osita’s words his only companion in that long dark tunnel. It is beautiful, to have her there with him, like that. But it is awfully painful to think about. 15 months after Osita left him, Cortazar, “el Lobo”, died. 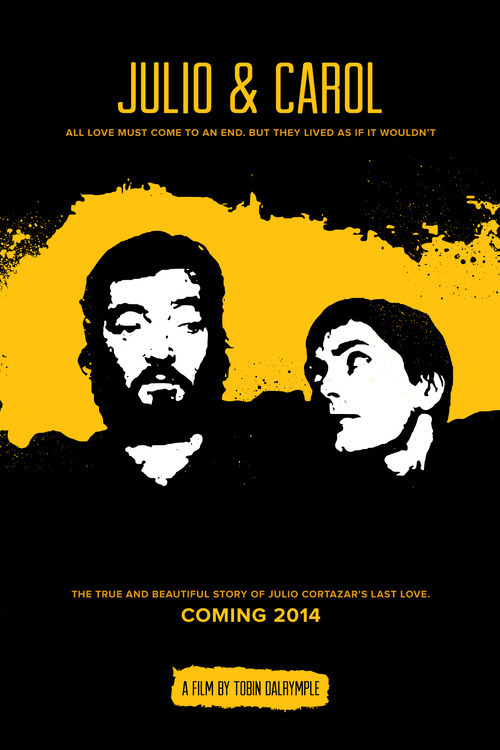 In the last images and video taken of Cortazar, we see a meager man. Incredibly thin. Hollow cheeks. Those two brilliant blue eyes, that never lost their childlike shine, faded like ancient, dusty glass. His beard is scraggly, his old legs, thin, hairless, clownishly long and naked. He was heartbroken. “Tu sombra espera tras de toda luz. Behind all the shadows, your light. He was waiting to join her, wherever she was. When I began my film project, Julio and Carol – the one that traces this tragic love story between Osita and Cortazar – I had no idea who she was. All I had was my own sad love story, my own missing Osita, and my own desire to see the world the way these two lovers so clearly did. You cannot help but read their book, Autonauts of the Cosmoroute, without learning something about love. Unfortunately when I read it, I happened to learn just how bad I could be at it. Just how important it is to play the game of life a little more seriously, with a little more passion, a little more sensitivity about what is important in life. A little more courage, for sure. It just so happened that the woman I loved and lost was called Osita. Which is why I picked up their book. Which is why, when I saw just how beautiful Cortazar’s Osita was – and how beautiful he was to her in return – that my heart broke, with regret, with the spirit of wanting to do better. And it’s why I started to look for the original Osita. It’s why, eventually, I quit the job that wasn’t making me happy. And it’s why, eventually, I started to do the one thing I knew that would make me happy. So I owe these last few months – if not entirely, than most of it – to Carol. And to Julio for being there to love her, and to share his love for her so vividly. It’s not just me though, who has been so touched by Carol. I am not the only one who has retraced the Cosmoroute in search of the same thing. A handful of films and plays have been written. There are talks of a major motion picture to come. I met the world’s foremost Cortzar collector the other day. He calls his two daughters Osita – Osi Minor, Osi Major. When he found his wife, she asked if she could be one too. He said he’d think about it. Carol’s story is yet to be told. And my film, to come in 2014, will do a much better job than a few words could. But I wanted to share a few things on this day, with you. She is a young woman who always lived against the grain. Raised in a military family in the USA, she left home at 19 years old to settle down in Montreal. She was a guitar strumming, anti war activist. She was looking for a change. She was looking to escape the Americanism that she would later fight against so fervently, alongside Cortazar. She was a fighter. She was a songwriter, a photographer, a poet and a novelist. She had a son. She was divorced when she met Cortazar – at a dinner party hosted by her ex husband – and they fell madly in love. A few months later she was living in Paris with the writer, and she had begun the last, and most creative chapter of her life. And it all ended far too soon. The more I dig, the more I see. And I am so excited to share with the world the marvelous story of who Carol was, what drove her to leave Canada and be in Paris with Cortazar, all the lives she’s touched, and the inspiration – the model for true love – that she continues to create today, three decades later. To stay up to date with my documentary on Julio and Carol, please follow this tumblr, my Twitter, or sign up to the newsletter.